Off Funbi’s EP “Serenade” is one track (track no. 5) that is sure to hold listener’s attention. It is titled “Body” and features celebrated singer Seyi Shay. “Body” makes no pretence what it is about. It is a song that will send you gyrating to the dance floor; it will surely reactivate every dance cell in your body. And that is just as well, for the Xmas break is around the corner already. Hey, it is a time to dance. Funbi, the “Halleluyah” mastermind, who Odunsi co-opted on “Desire” alongside Tay Iwar, and who Reinhard Tega co-opted on “Arewa,” is among those pushing the afro-funk genre in Nigeria at the moment. Although not among the old guard, Funbi has got the talent and devotion that makes for a smooth transition into the big leagues. It shows in his offerings so far. The “Turn Me Around” mastermind is a delight to listen to. Seyi Shay, who was recently recognized by the Neew York Times as one of the artiste changing the sound of global pop, has earned a place as one of Nigeria’s most respected singers, in hot demand as a feature. 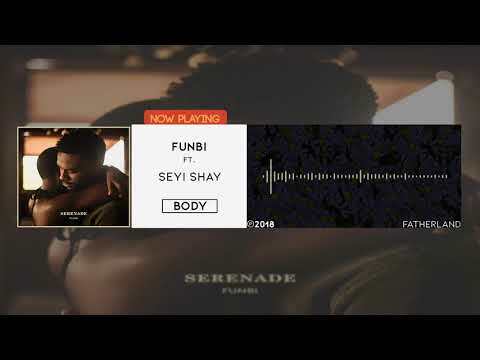 Stream and download “Funbi – Body Ft. Seyi Shay” below. You may as well join the conversation by dropping your thoughts in the comment section. Will Tekno Finally Match Wizkid & Davido’s International Exploits In 2018?